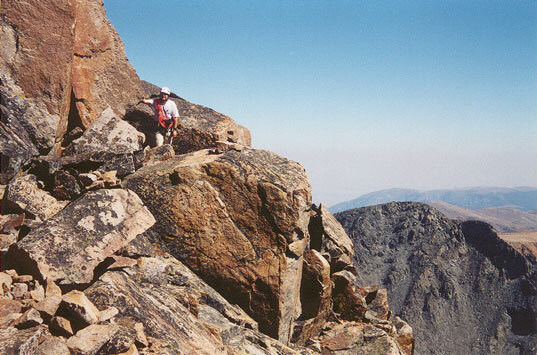 Granite Peak is the highest point in Montana and is considered one of the most difficult highpoints in the lower 48 states. 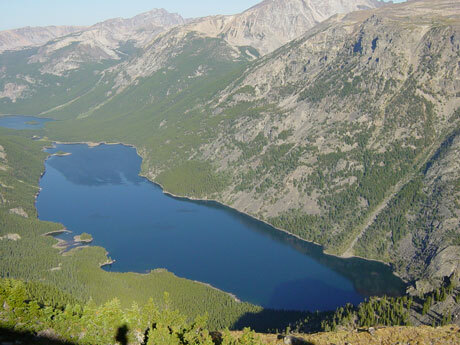 Located in the Beartooth Range in the Rockies, Granite Peak lives up to it’s name as a large chunk of granite towering over the southern Rockies of Montana. 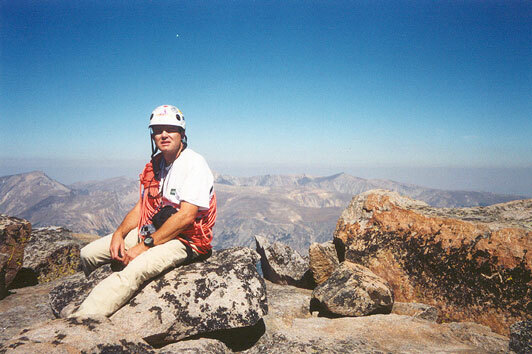 Climbing Granite Peak is a time consuming endeavor which should not be taken lightly. 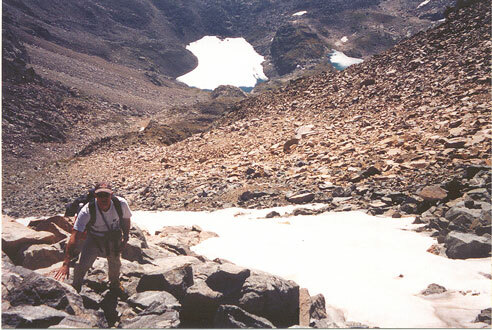 Although climbing Granite as a day hike is possible, most climb it as an overnighter using a high camp on Froze-To-Death Plateau or at Avalanche Lake. 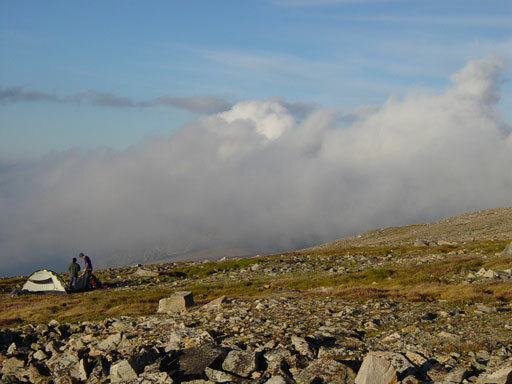 The easiest route to the summit involves a strenuous 10 -12 mile hike followed by sections of exposed class 3 and 4 terrain. 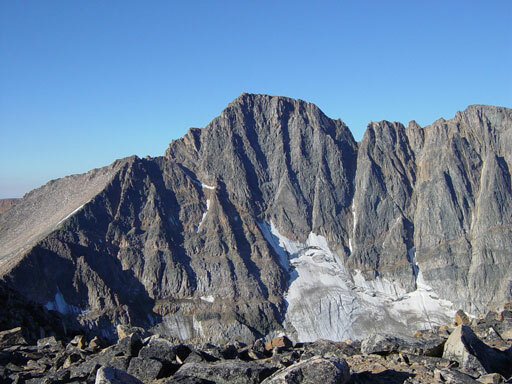 This mountain is not recommended for the novice peak bagger and novices should gain experience on less challenging peaks before tackling Granite. Otherwise, Granite is a great mountain and great challenge! Good luck on your climb! 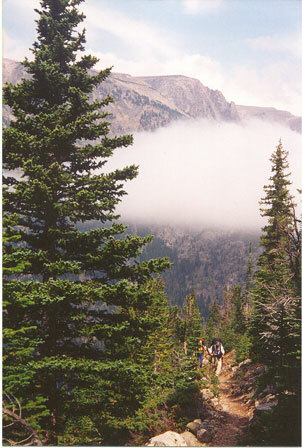 Click here for a comprehensive Granite Peak route description complete with photos. Unfortunately, Jackie didn't get to go on this trip, so I enjoyed Granite Peak with friend, Eric, from Oklahoma City, and Martin and Mishell from Spokane, Washington. 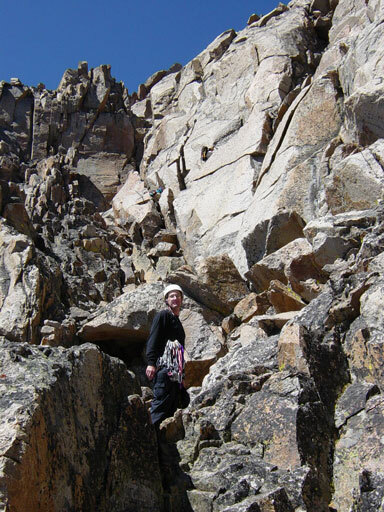 Follow along for a specatacular Granite Peak climb. This is near the beginning of our six-mile hike up to basecamp. 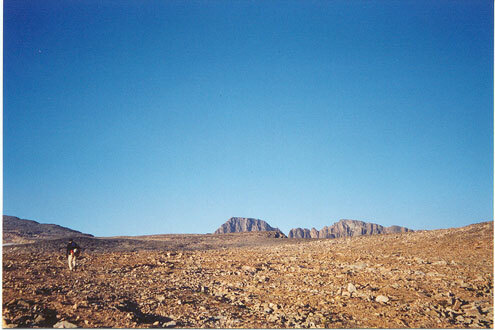 You can see our destination, the plateau, in the background. The "switchbacks from hell" gained over 5000 ft. and gave us spectacular views of Mystic Lake. Martin looks at an elk in the distance as we arrive at the plateau. It's getting close to dusk on the plateau as Martin and Mishell set up camp. Froze-To-Death Plateau is a wild and open place with no trees or shelter of any kind. The plateau is a bad place to be when storms roll in, but we were blessed with mild weather all weekend. We had great weather on summit day. 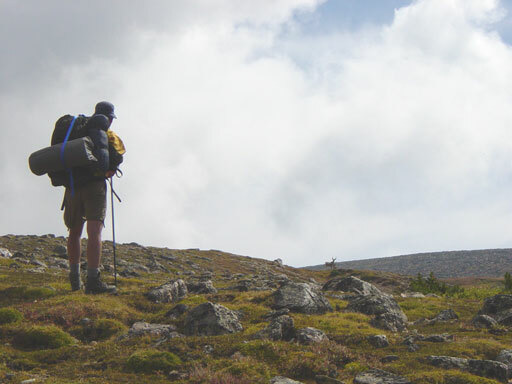 Here, Alan begins the five mile hike to Granite Peak across the plateau at around 7:00 am. Granite Peak is barely visable peaking over the edge of the plateau in the distance. Alan begins the long climb up the summit ridge. 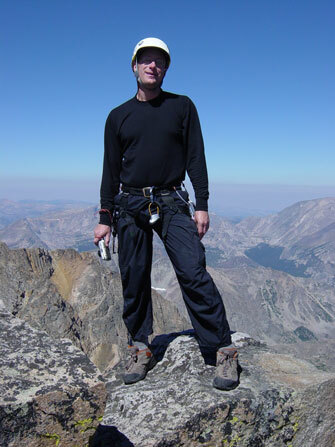 After reaching the edge of the plateau, a long descent to a saddle is followed by an 800 ft climb up the summit ridge. Eric begins the climb up the main route to the summit. This is where the fun begins! Near the summit, Alan takes a break. Tempest Mountain is in the background. The final 200 ft of the mountain is semi-technical. 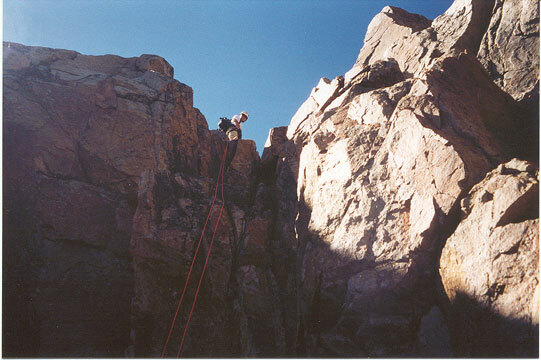 Some climbers elect to rope up due to the exposure; however, we felt comfortable and only used the ropes for rappelling. Eric rappels off the mountain in style. Alan does the last rappel of the day. We did a total of three rappels which made our descent faster. 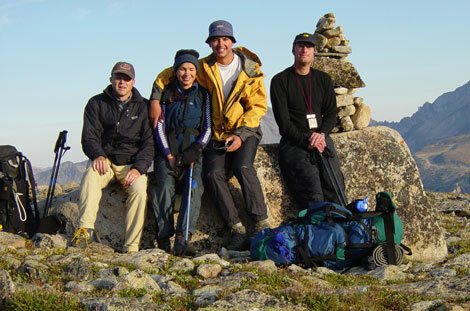 From left to right: Alan, Mishell, Martin, and Eric. Unfortunately, Martin and Mishell did not get to climb the peak with us. After an all night drive, and a nine-hour, 5000 ft. climb to base camp, they were simply exhausted and couldn't continue. They made the right choice, because Granite peak requires a lot of energy and stamina. It took Eric and I thirteen hours from tent-to-tent, and we were very tired upon returning to camp. Thanks to Eric for being my partner and thanks to Martin and Mishell for good company during the weekend. It was great meeting you guys! As always, thanks to Granite Peak for a safe climb, descent, and good weather. 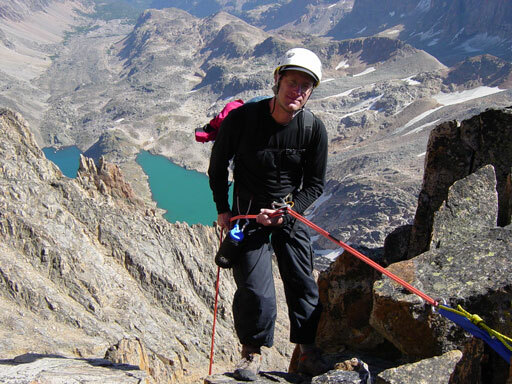 And now...the adventure continues as Alan and Eric head off to Wyoming to climb Middle Teton!